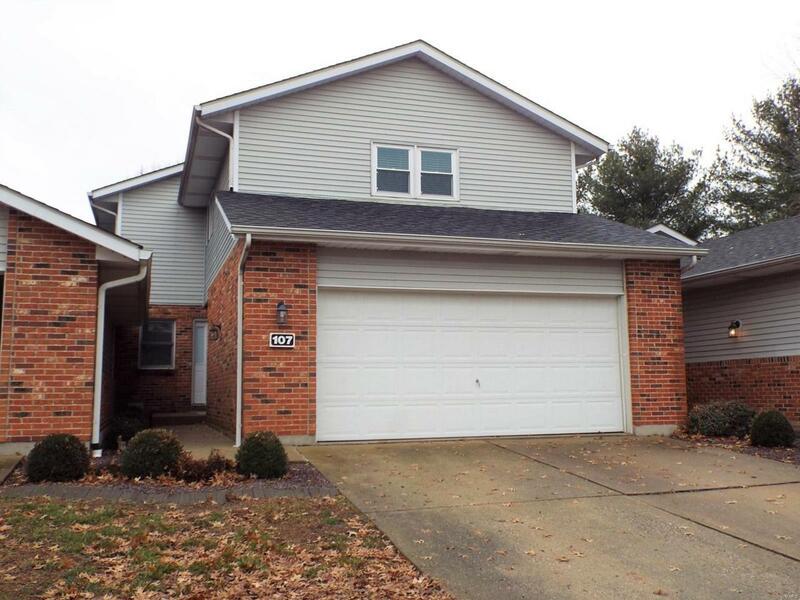 Hard to come by Condo in Meadow Ridge with multiple baths, basement and great storage! This 2+ bedroom home includes a bonus room that would make a spacious in home office or library. From the moment you enter, you will appreciate the generously sized rooms and the double closets. The kitchen features ample cabinetry, counter space, a pantry and appliances remain! There is a cozy breakfast room with access to the garage. An impressive masonry wood burning fireplace is the focal point in the 2 story living room. The open floor plan blends the dining room and living room for intimate gatherings or easy entertaining. The view from the dining room and deck is park like, with treed open space right behind you! The basement is waiting for your finish but offers the convenience of a 1/2 bathroom. The association fee includes water, sewer, trash, exterior maintenance and access to the pool, tennis courts and clubhouse. Meadow Ridge offers convenience for your active lifestyle. Call quick!